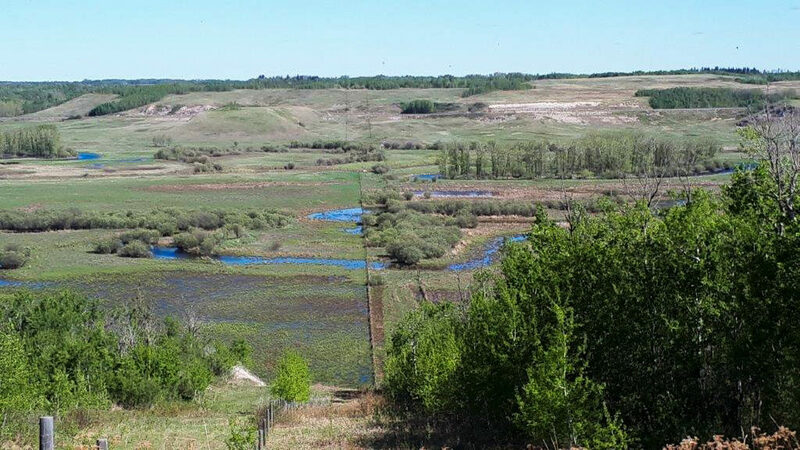 Seven hikers enjoyed a hike that began on the heights overlooking the Gwynne Valley above Pipestone Creek, led down to the banks of the Battle River and then up again, to the heights overlooking the Battle River. We were accompanied by blue skies and a fairly constant wind that kept mosquitoes and other small flying creatures at bay. 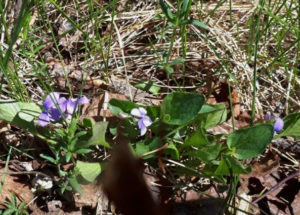 We passed spring flowers in bloom, including buffalo beans, crocus, and violets. We were lucky to see an eagle circling overhead. One of the hikers recalled that eagles were spotted in the same area last year. On the way back, the crashing of undergrowth alerted us to spot the back of a deer disappearing into the woods. 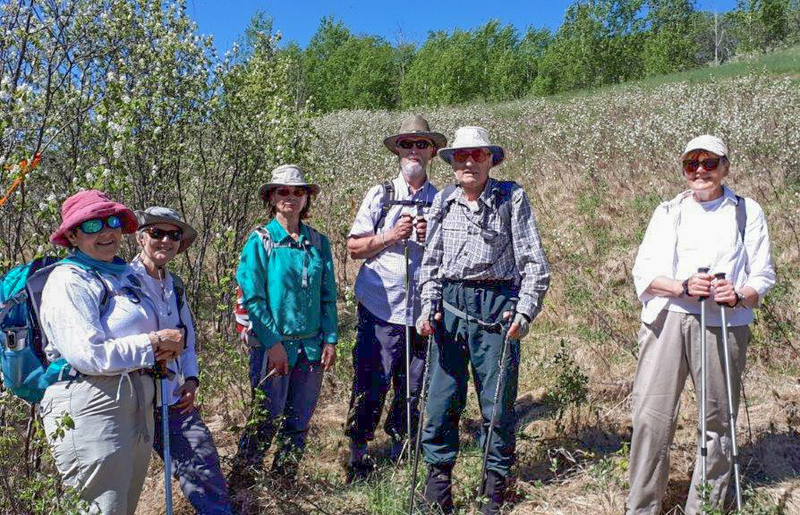 A thank you to the maintenance crew that prepared the trail last Wednesday and to the landowners who graciously allow us to walk on and share in the beauty of their land. Photos by Irene Malcolm. You can view them all on Flickr.